Marietta City Schools offers several programs to potential MCS resident and non-resident students. For more information on Choice Academies, visit our Choice Academies information page. *All dates also apply to MCS Employees participating in the application programs. 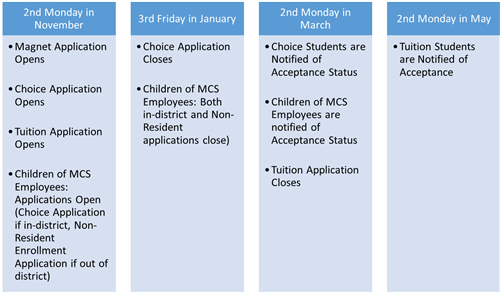 Children of Employees: If your student already attends MCS as an in-district Choice student, you only need to complete the Enrollment Agreement and return to the local school. If your student attends MCS as a non-resident student, you will need to complete the Non-Resident Enrollment Application and the Enrollment Agreement and return to the local school. If you are an employee enrolling a student in MCS for the first time, you will also need to complete the Student Registration Form. *In district Magnet students are notified of their acceptance by the local school within 30 days of the receipt of the application. The Magnet Application closes 10 business days after the last day of school. *Out of district Magnet students will not be officially accepted into the Magnet program until their Tuition application has been approved. Completing all steps in the registration process and providing required information will assist us in enrolling your child in a timely manner. A student registration form is required for each student. Kindergarten and first-grade students entering a Georgia public school for the first time must be age 5 on or before September 1 to enter kindergarten and age 6 on or before September 1 to enter first grade. If no birth certificate is available, other documents may be accepted such as INS document or state/federal form with date of birth. 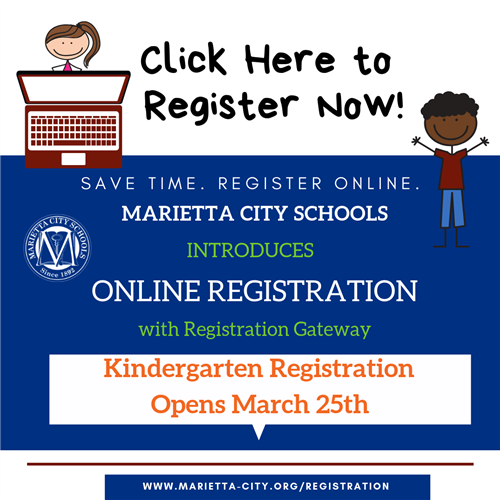 Upon registering in the Marietta City School System, a parent must provide satisfactory documentation of a relationship with the student to be registered. Guardian - Official guardianship decree. If the person enrolling a student is not the legal guardian, they must complete a non-parental affidavit. Marietta City Schools will provisionally enroll a student for a period of not more than 30 days so the person can file an official guardianship application with the Probate Court. At the end of the 30 days if the official guardianship application has not been filed, the student shall be withdrawn. Once a guardianship application has been filed, the person enrolling a student has up to 90 days from the date of enrollment to complete the guardianship process. Extensions beyond 90 days must be approved by the superintendent or his/her designee. Foster parent - Official foster parent letter. Hearing, Dental, Vision and Nutrition Screening Certificate as required by Georgia Law 20-2-770 (Georgia Form 3300) for all kindergarten and new first grade students, all students new to Georgia and any child enrolling from a private school dated within 12 months prior to the day of enrollment. However, if a student is enrolling from another Georgia public school, a completed 3300 Form will be accepted by any District school. Georgia Form 3231 for all kindergarten and sixth grade students, all students new to Georgia and students coming from any private school must have the form signed by a licensed health-care provider or the county health department. To be enrolled in the District, ALL certificates of immunization must be marked “Complete for Attendance” OR have a future expiration date. Expired certificates will not be accepted for enrollment. waiver form or application can be downloaded by clicking here. Lease, rental agreement or rent receipt consisting of written evidence that the agreement is valid and current AND a current utility bill (gas, electric, water, home telephone or cable TV). Records must include the name and street address of the parent/guardian. A current residential property tax statement or deed, AND a current utility bill (gas, electric, water, home telephone or cable TV). Records must include the name and street address of the parent/guardian. A third person affidavit of residency signed, completed and notarized (good for 30 days, if temporary) AND A) lease or rental agreement consisting of written evidence that the agreement is valid and current and a current utility bill (gas, electric, water, home telephone or cable TV). Records must include the name and address of the third person signee. OR B) current residential property tax statement or deed and current utility bill (gas, electric, water, home telephone or cable TV). Records must include the name and address of the third person signee. Note: Parents or guardians are required to provide proof of residency upon initial enrollment of their child in a Marietta City School and may be required to periodically verify their residency in the Marietta City Schools district at random times thereafter. Any parent/guardian who may be living in a homeless situation should complete the Student Residency statement and contact Ana Mateo, District Homeless Liaison Support, 770-422-3500 for information/interview. Completed Non-resident enrollment applications with all required documents, should be submitted to the school principal. Acceptance as a non-resident tuition student is valid for one school-year only. Applicants must complete a Non-Resident Student Enrollment Application and an MCS Enrollment Agreement each school year. The superintendent approves all applicants based on the stated criteria and available space in school programs. Questions regarding non-resident student enrollment may be directed to the school principal or the Deputy Superintendent. 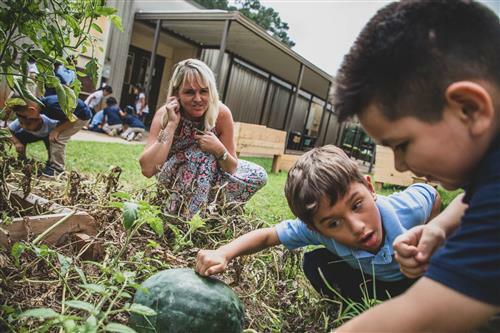 The grades 3-5 magnet program at Marietta Center for Advanced Academics (MCAA) offers students a technology-driven curriculum that emphasizes science, technology, engineering and mathematics (STEM). Non-residents who meet admissions/eligibility criteria may apply to the magnet program at MCAA and pay tuition (same tuition schedule as all non-resident students). **Forms may be obtained from the Cobb County Health Department located at 1650 County Services Parkway, (770) 514-2300. Many private physicians and dentists also have the form available. Please visit MCS Student Registration for all documents needed for registration. For your convenience, you may complete the required paperwork in advance of your appointment.